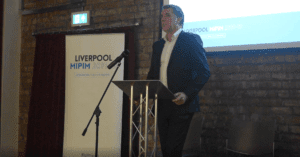 Last week’s MIPIM member’s meeting was bursting with positive feedback, comradery and the sharing of ideas – featuring lively input from a stellar line-up of representatives from right across Liverpool City Region’s property sector; led by one of Liverpool MIPIM’s most ardent supporters, Metro Mayor Steve Rotheram. The first member’s meeting since our successful presence at MIPIM UK this October, the meeting presented our first opportunity to look back at the event and look ahead to it’s real ‘big-ticket’ counterpart – MIPIM Cannes 2019. There was lots of networking, lots of debate, a fair few jokes and some serious strategising. But the overall theme of the night was one of unity, support and shared passion. MIPIM has now attracted a staggering 40 partners. That’s 40 talented, creative and ambitious companies, all working together for the prosperous development of Liverpool City Region. As you can imagine, when these people meet-up and get talking the conversation can be quite illuminating. Here’s a quick snapshot of what happened during the evening, with a tease of much bigger things to come. MIPIM Cannes, here we come. “I’m very pleased to tell you that Liverpool MIPIM membership is now almost completely fully-booked. Big thanks to EasyJet for looking at the demand and putting on extra flights to accommodate our delegation. 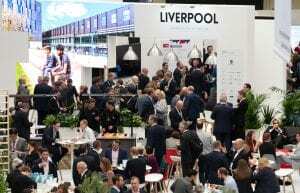 “It also gives me great pleasure to tell you that Shape Consulting Engineers are now joining Liverpool MIPIM as top-level sponsors, alongside Peel Land and Property and Grosvenor. Newbies last year, Shape really saw the benefit of being part of the delegation and they make a great case study for how to get the most out of the MIPIM opportunity. Metro Mayor Steve Rotheram also extolled the virtues of MIPIM, discussing the event in a broader context, explaining how it closely fits into his wider vision for Liverpool City Region growth and prosperity, addressing his hopes for devolution of power and greater investment in infrastructure. 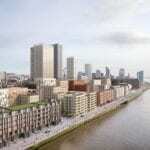 He also talked about how his initial reservations about MIPIM have now been completely reversed. “Slight confession. I was a big cynic of MIPIM Cannes. I remember saying ‘would we still go if it was in Blackpool?’ Because the perception was that it’s a jolly. Well, if it is, it’s genuinely the worst jolly I’ve ever been on. I’ve never worked so hard. Actually, when I got there, I was really blown away in regards for my appreciation for what the event can do. “The main thing for me is that we wanted to show confidence. We wanted people to start talking about Liverpool, not just as a brand, but also as a city region, because of the vast scope of what we have to offer. We put on an incredible show. It was our largest delegation up until that point, which led to a successful event at MIPIM UK and we’re taking even more business representatives to Cannes this year. HOW WAS MIPIM UK FOR YOU? “I don’t need to tell you that MIPIM Cannes is not a party. It’s non-stop, full on and hard work. 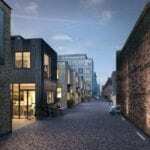 MIPIM is perceived as being solely for the property sector, but I was there to represent the Royal Albert Dock, predominantly a leisure attraction but what I saw was a big opportunity. 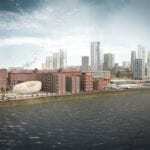 “My objective is to raise the profile of Royal Albert Dock on an international stage but to also create more debate around waterfront regeneration, in general. In 2021 we’ll celebrate the our 175th year and our ambition is to now hold a waterfront regeneration conference with other European and international cities. FIRST CONTACT. RIGHT CONTACT. LASTING CONTACTS. 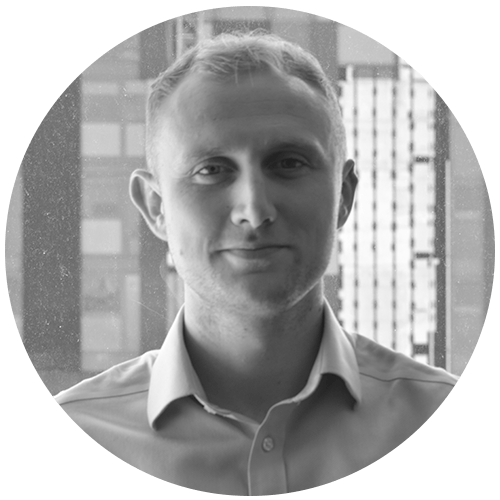 Architect and MGMA Director, Matthew Giles talked about his company’s very first experience of MIPIM, at MIPIM Cannes 2018. Morgan Sindall’s Sue Patterson explained that Liverpool at MIPIM is about much more than simply two events. 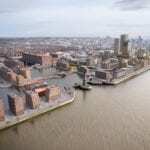 “We’ve been with Liverpool at MIPIM for three years. The event has provided us the opportunity to launch our biggest and best schemes and celebrate what we’re doing in Liverpool. But the important thing for us is that Liverpool MIPIM is a 12-month programme. 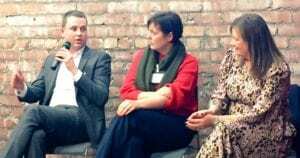 “When we’re out at Cannes and MIPIM UK our Morgan Sindall hat comes off, and we are all Liverpool City Region and we all work together. “what’s really fantastic is that when you come back home all those barriers are gone and the relationships you have built up continue, helping you, your business and the city region. 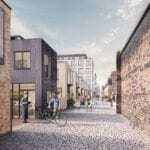 The event also provided members with the opportunity to hear from Peel Land and Property’s Assistant Project Director at Liverpool Waters, Ian Pollitt. 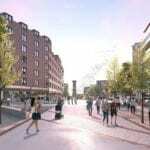 Ian’s presentation highlighted the work that go into planning such a landmark development and showcased the evolution of specific areas within the vast £5.5bn development (Part of Peel Land and Property’s £50bn ‘Ocean Gateway’ project) which he described as ‘a complete refresh of the master-plan’. 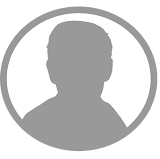 “Over the years, on almost every big project I have worked on, there’s been a lot of talk about district heating systems, but oftentimes you cannot get them off the ground, because there’s not enough people committed to tying themselves to it. “But with Liverpool Waters, we’ve been very lucky with our own energy company, Mersey Heat, who have really taken this project forward. 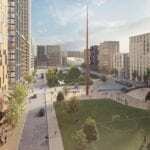 The first phase of that is a small-scale energy centre, at the heart of the park, which long-term would relocated to Great Howard Street, which is offsite. Closing the evening, MIPIM Project Manager, Rachael Bampton-Aiken revealed a draft MIPIM Cannes Schedule and talked about the logistics of getting such a large delegation of people over the Cannes. Rachael also and provided updates on the proposed Liverpool MIPIM Cannes exhibition design, individual MIPIM Cannes events in development and the importance of our sharing successes to the project. “As everyone tonight has said, liverpool MIPIM is about making business happen. It’s exciting for us when we hear success stories, like Matt talking about new MIPIM opportunities for MGMA, or Sue forming new global partnerships, or Metro Mayor Steve Rotherham teasing a big announcement in a few weeks. 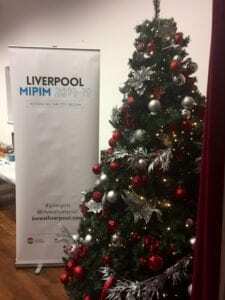 Liverpool at MIPIM – Wishing you a Merry Christmas and a prosperous New Year. On the surface, a ‘Liverpool MIPIM Partner’s meeting’ might sound like a fairly low-key, inconsequential or fairly unspectacular event. A ‘nice’ informal meeting, strictly for members only. 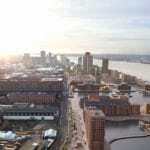 But at this single event, we’ve covered global ambitions for an entire city region, multi-billion-pound development progress, joined-up plans to take Liverpool further than ever before and lucrative business partnerships, that come together to form formidable Liverpool ambassadors. By anyone’s standards, that’s quite an event, but this meeting is just a small part of the Liverpool MIPIM calendar and wider benefits. A mere teaser trailer for a totally epic event. As you can see, this member’s meeting was productive, collaborative and highly insightful. Now, just imagine what the full Liverpool at MIPIM delegation can achieve over in Cannes, from 12-15 March 2019.